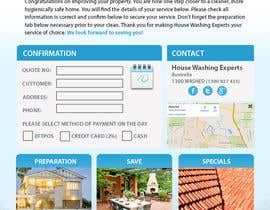 We are after an editable e-flyer (similar to attached file). This will be sent for our confirmation emails. We have provided all text and a good example to work off. 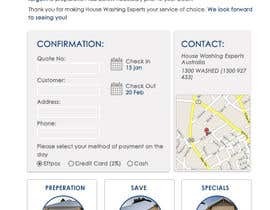 We would like to have a similar layout to the attached. 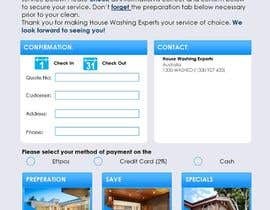 We would need some pictures attached for the 3 lower tabs by designer. 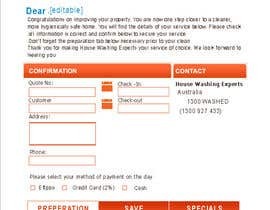 If needed, we may have some pictures to use via our website www.housewashingexperts.com.au. We do have some areas that will need to be left blank due to constant editing for every customer (editable boxes and check boxes). please look at attached E-flyer for ideas and explanation. 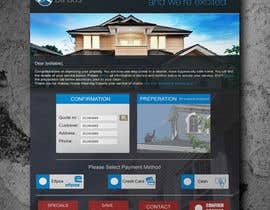 Design can be sent as a PSD, we will code it after. Thank you everybody, We will be going through the designs next week. Hey! I entered my entry! Hopefully you're still taking entries! let's start...please check my portfolio I think that I have right what you need logo design in my head. Hi hare116, there is nothing to see when clicking your profile?? 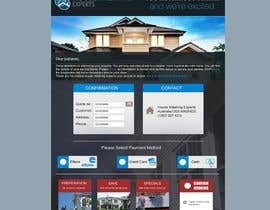 How can I send PSD file, found no way..
entry #1 thanks in advance, K.
i complete all task what ever you want. Hello, Is there a logo and photos to work with ? 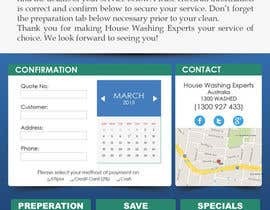 Is the flyer to be delivered as a psd file or a HTML file ? 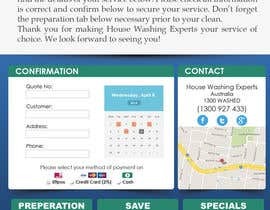 Form controls like checkboxes and text boxes are not recommended for a HTML flyer - so do these need to be included in it ? you can send the file across as a PSD, we will edit on our end. 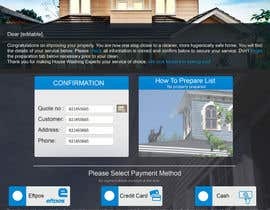 Yes, please include the checkboxes and text box areas in the design. 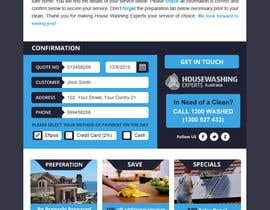 photos and logos can be found at www.housewashingexperts.com.au. Please advise if you need more.